The best malware cleaner not only cleans the computer of viruses. It also provides real-time protection that prevents irreversible computer damage. Malware that remains undetected can cause irreversible data loss or computer damage. Some types of malware such as Chimera ransomware only takes 18 seconds to encrypt important files. The files can never be restored without paying the ransom. The best malware cleaner must provide real-time protection to prevent unwanted incidents brought about by malware. Also, malware is often installed through a drive-by-download, a phishing link, or fake software. Since real-time protection includes real-time scanning, unintentional downloads will also be prevented. Over the years, malware has grown more sophisticated. Traditional malware relied on an executable file before it spread on the computer. The new age malware that has gone fileless gains direct access to computer memory once the user opens an infected email. Once it enters the computer memory, it may require an operating system reinstallation to get removed. The best malware cleaner must consist of a fileless malware defense to render fileless malware useless. Every day thousand new malware released. AV-TEST Institute, an independent IT-Security Institute, claimed that they register more than 350,00 malware a day. The role of the cloud-based platform is to provide real-time protection against the latest threats even if the user doesn’t have the latest version of the anti malware. A non cloud-based platform cannot defend the computer against the latest threats. The best malware cleaner uses a cloud-based verdict platform. A sandbox technology allows close analysis to determine if a file is malicious or safe. Most malware are identified by their signature. But because malware is constantly evolving, it may render Signature-Based Detection obsolete soon. Sophisticated malware can mutate their signature to evade detection. If a malware bypasses the Signature-Based Detection, the best malware cleaner uses a sandbox to detect malicious software. By running the file inside the sandbox, the anti malware determines the intent and destination of the file in the computer. The cloud antivirus works alongside the cloud-based platform. Together they form the first line of defense against known and unknown threats. The antivirus collects the file signature and sends it to the cloud-based platform. The platform then analyzes the signature and returns with a verdict. The firewall the best malware cleaner feature that protects the network against malware. To prevent malware propagation, the firewall filters network traffic. Malware travels within the network. Without a firewall, malware can infect all the devices within the network. Downloading the right malware cleaner plays a significant role in your computer security. An inefficient malware cleaner will fail to detect advanced types of malware, thus impacts job-related activities or business operation. Choose only the best malware cleaner. Choose Comodo Anti Malware for a personal computer and Comodo Advanced Endpoint Protection for a business network. A business network needs advanced endpoint protection for the entire network and the endpoint devices. Big companies provide access to endpoint devices. This puts the corporate network at risk; endpoint devices serve as an entry point for malware. 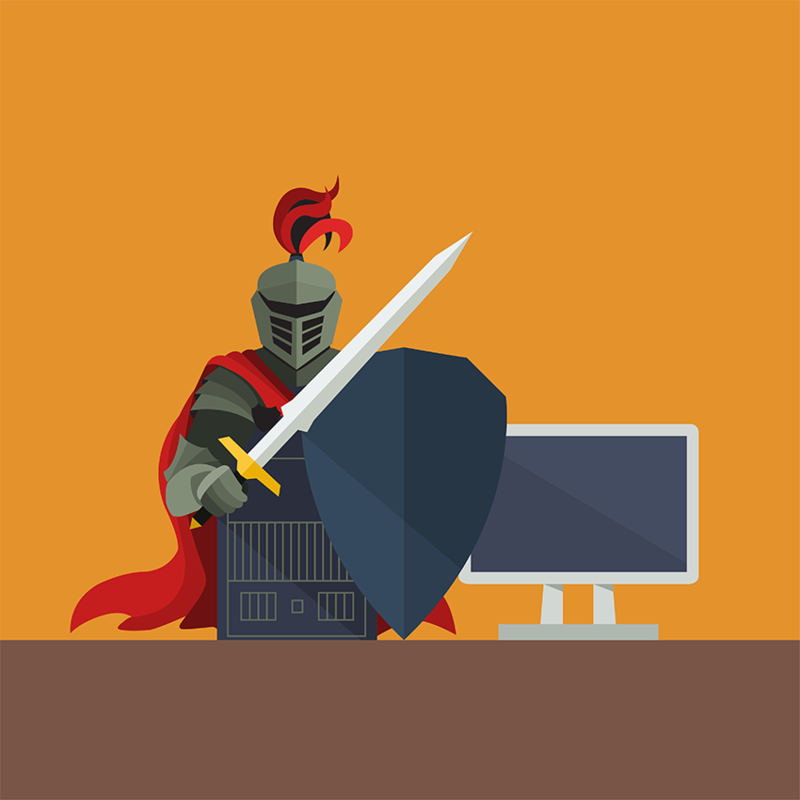 Comodo Advanced Endpoint Protection protects the network and endpoint devices against malware. It consists of multi-layered security. Valkyrie - uses static and dynamic analysis to determine malicious software. Containing the huge collection of malware signatures, it provides a verdict in no time. Auto-Containment - renders zero-day threat useless by auto-containing any unknown file the enters the computer. This sandbox-based technology is built upon Default Deny that never leaves a window open for a malware infection. Host Intrusion Prevention System - ensures the protection of the computer memory and registry against malicious modification. Using advanced technology it blocks sophisticated threats that get past the antivirus and firewall. Cloud-Based Antivirus - combines malware detection techniques to detect malware. Its cloud-based feature provides real-time protection against the latest threats. Firewall - filters network traffic and data transmission, preventing the propagation of malware within the network. By constantly monitoring the active applications that send and receive data, it protects the network against inbound and outbound threats. VirusScope - is an advanced machine learning technology that identifies malicious behaviors. It consists of multiple high-end recognizers that detect threats in no time. The best malware cleaner will be able to defend your network and endpoint devices against threat and viruses. Download Comodo Advanced Endpoint Protection now to secure your endpoint devices.